I am playing along with Martha at Seaside Simplicity with the meme Flashback Friday. Come join in on the fun and link up your photo. 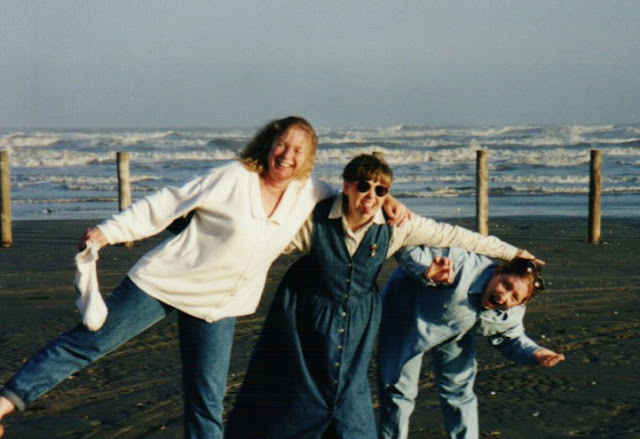 All our lives Jenn and I loved gathering shells on Galveston Island. This trip was no exception. We were literally getting blown away, but had so much fun that day!! I’m pretty sure this was March 1998. This is the last picture of us all together having fun so I keep rewinding to stay in the moment. 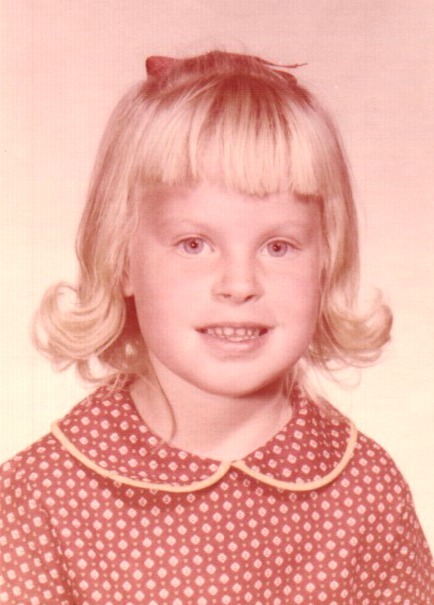 This week I’m looking backward, way backward to the first grade. At least I still had my front teeth for this picture. I also still have a pocket off this dress in my sewing basket. Every family has their black sheep. I’d like to say it’s my crazy aunt Ginger, but the fact is, she’s just crazy. Now in her 70’s, but acts like a kid and not always a in a good way. When I say she’s crazy, I mean in an oddball way. 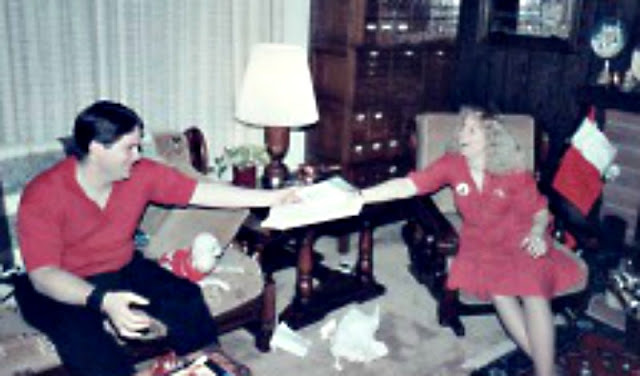 When she came to my dad’s funeral (her big brother) in 1993 she took tons of pictures and mailed them out to family. No, she didn’t take pictures of the family and friends that gathered to mourn his passing. She took all sorts of pictures of him in his casket and then sent them to us. As we approach the 20th anniversary of his death, the thing I always remember is crazy aunt Ginger – eccentric and odd forever! 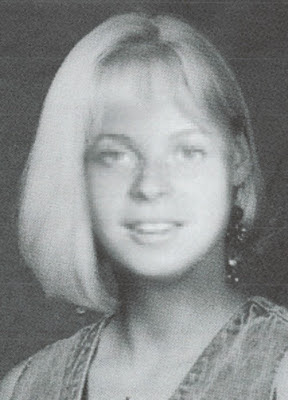 I’ve been digging through old photos and found one I’d never seen before of my mom as a teenager. 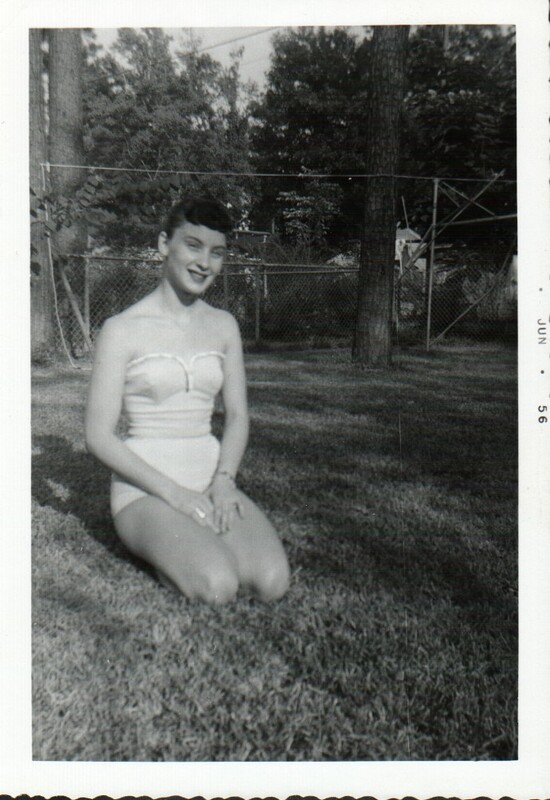 Swimsuits were so different back then, but oh so feminine. 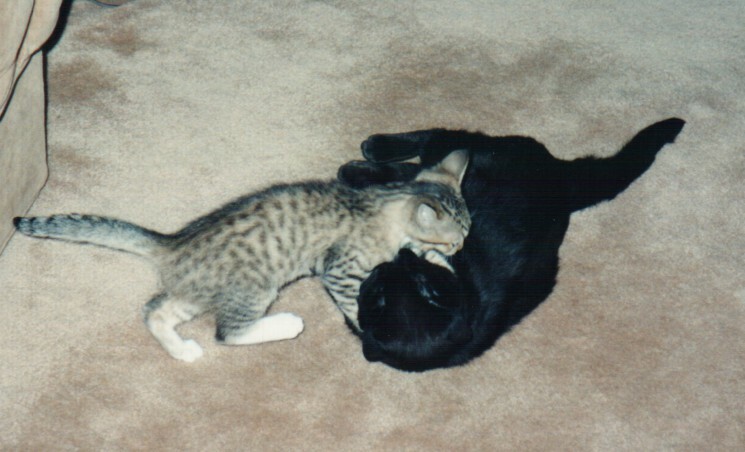 Dickens at just a few months trying to force Blacky to play with her. 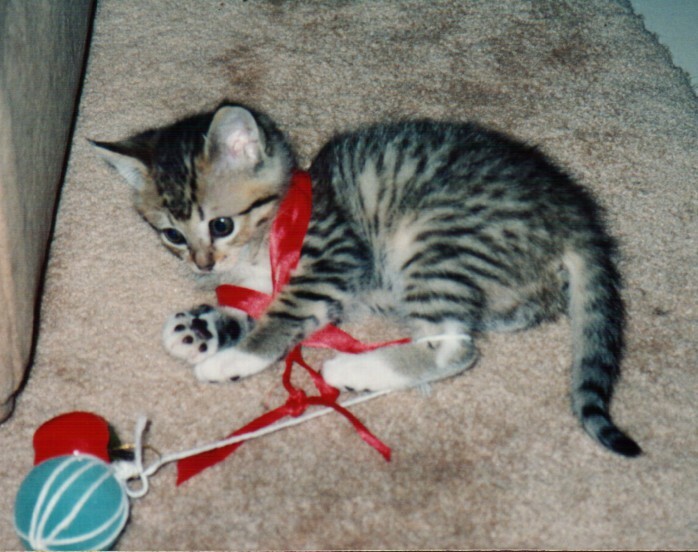 Dickens will be 19 in April and is still just as playful. 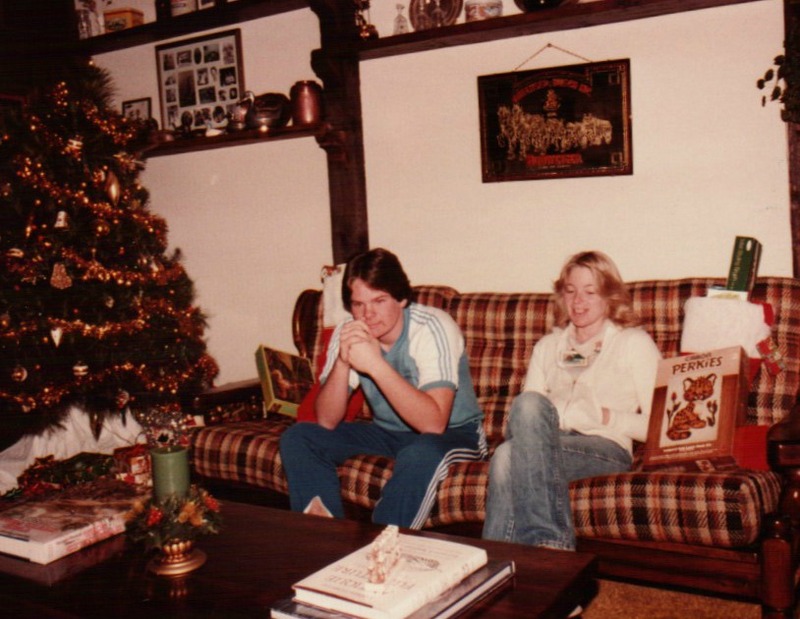 That’s my KID brother sitting there with me, by 6 1/2 years. It was that awkward age where he actually looked older than me and I was still getting carded. In fact I got carded for another 12 or so years after this picture. You can just see the teenage angst in my posture alone. I started out looking for a picture of a Holly Hobbie dress for Martha to see and have yet to find it, but I now have found so many others I don’t even know where to start. I do remember that the hat I’m wearing and I were never far apart for quite some time. 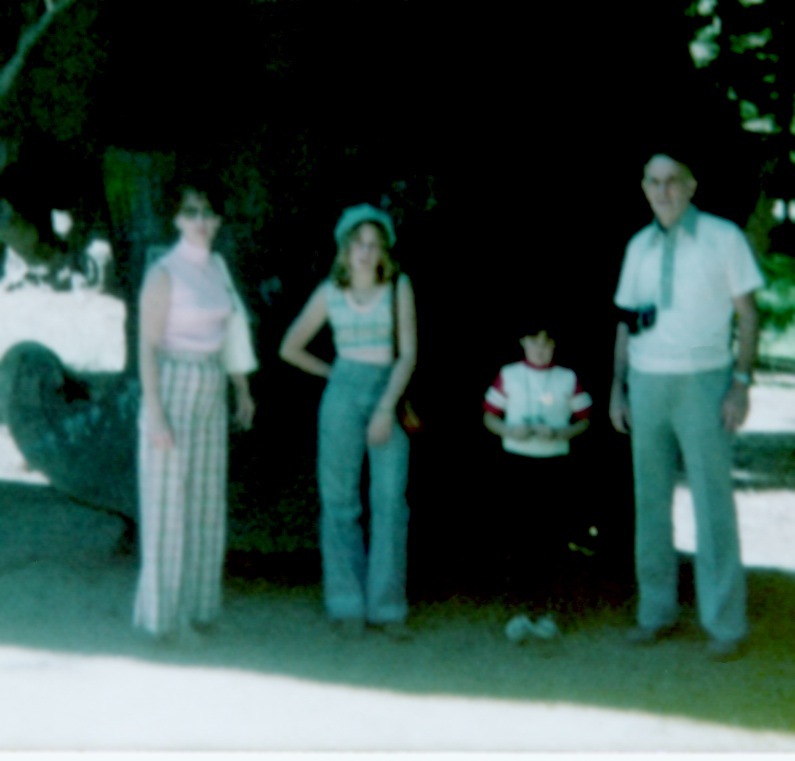 It looks like I was about 15 and obviously didn’t want to go Sequoia with my parents, kid brother and eccentric grandfather. 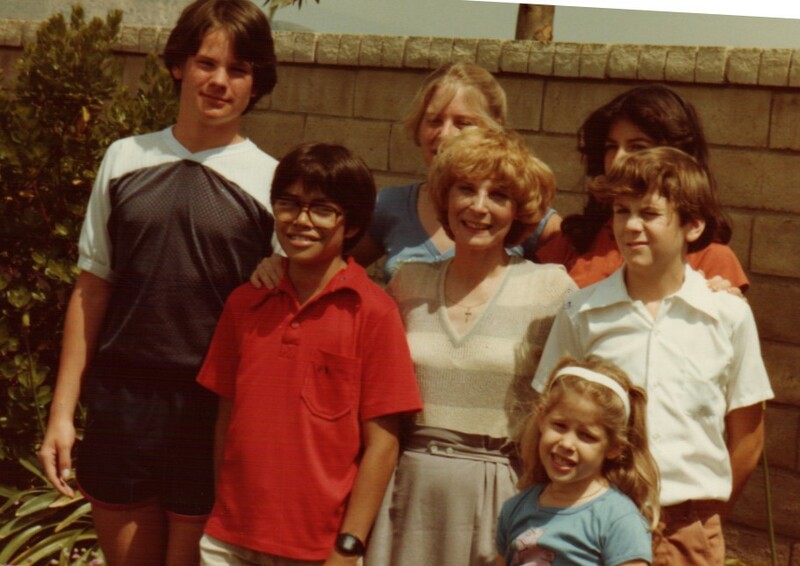 LOL this picture is from a million years ago – (note to self – never get a perm again in my life!). My brother and I opened each others Christmas gift and were trading. Love how we dressed for the holiday. 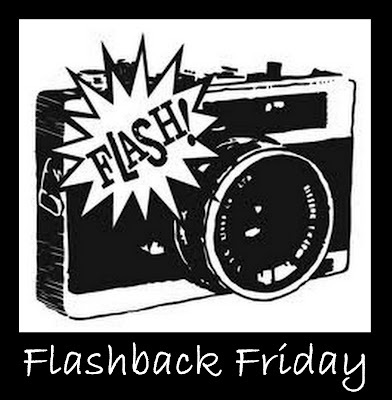 I am playing along with Martha at Seaside Simplicity with her new meme Flashback Friday. I wish I had a great old war photo like Martha’s, but on hand today is one I dug up recently to get my hatchet haircut from last month turned into something manageable to start growing it out again. This one was from my college days – fortunately the style has come back around. Now to start digging for an even older picture for next Friday.